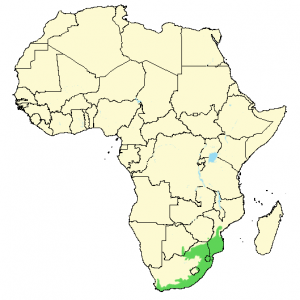 The southern boubou (Laniarius ferrugineus) is a species of bushshrike endemic to southeastern Africa. It grows to a length of 20-23 cm (8-9 in). 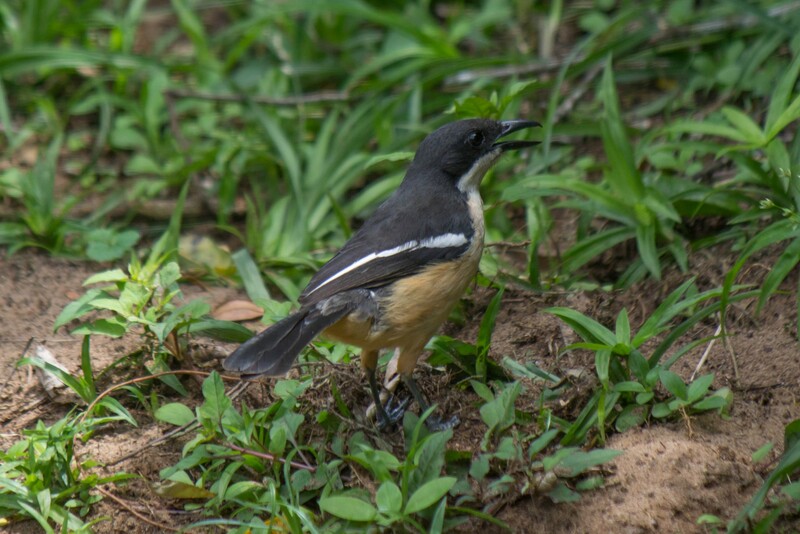 Upperparts are black, and undersides are white with a gradual increase in a rufous color towards the rump. Wings have a clear white stripe when folded. 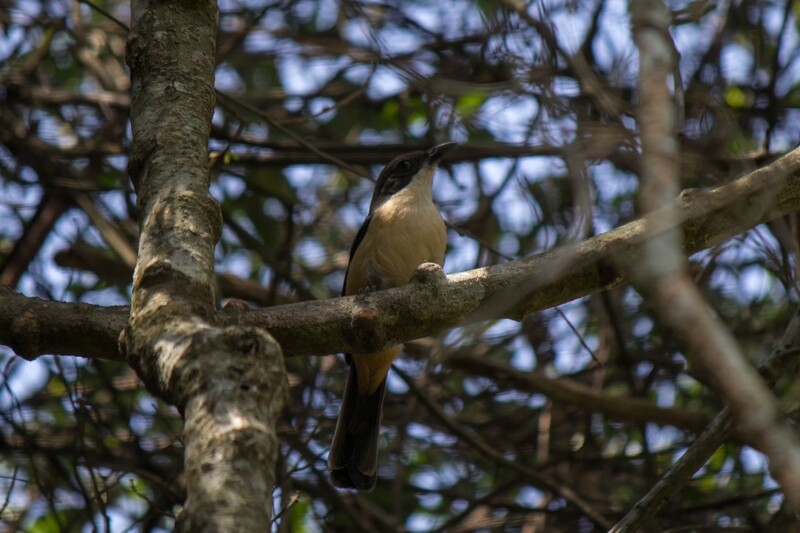 The female is a little duller than the male, with a more greyish appearance on top and a tinge of rufous on the chest. 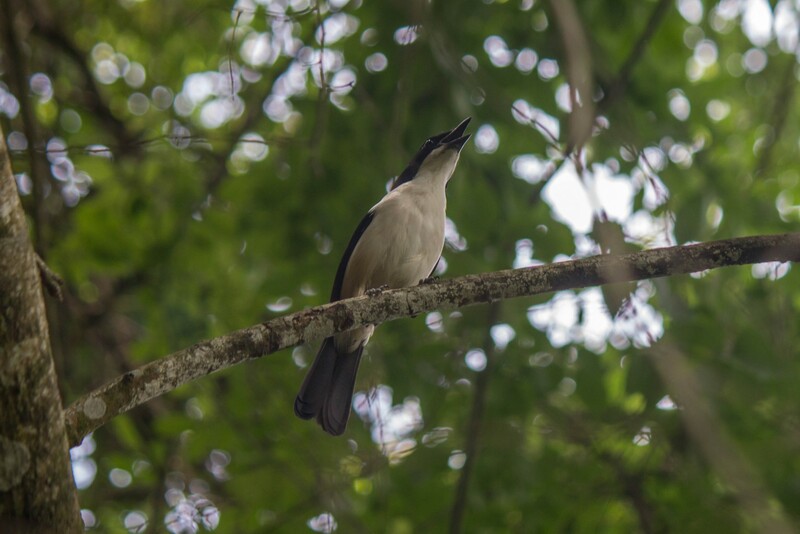 It is very similar to the swamp or gabon boubou (Laniarius bicolor) and the tropical boubou (Laniarius aethiopicus), but both these species lack the rusty colors on the belly. 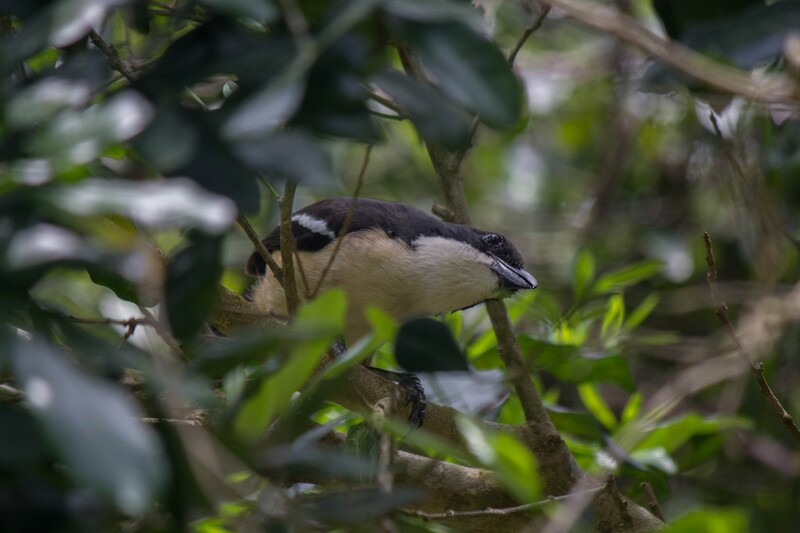 Neither species overlap with the southern boubou. 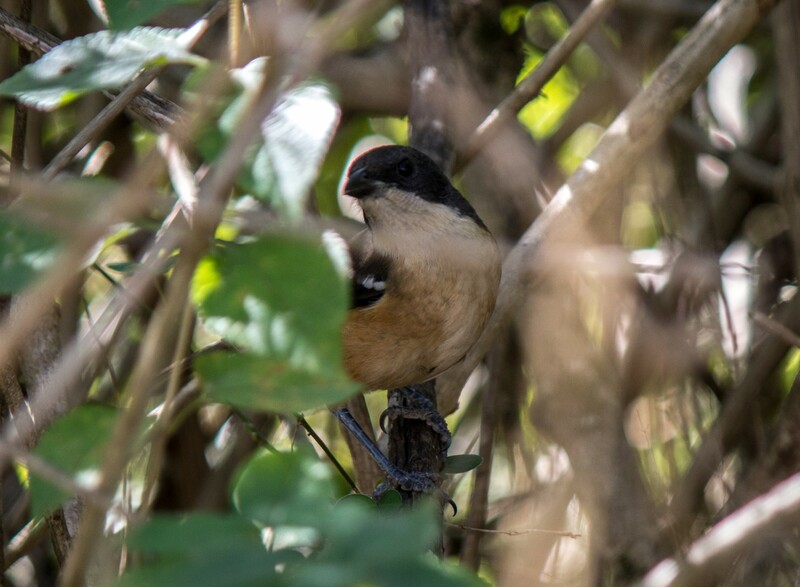 The southern boubou is found in many habitats that can provide dense cover and hiding places, such as dense forests, mangroves and thickets. In drier regions it is found in riverine forests. 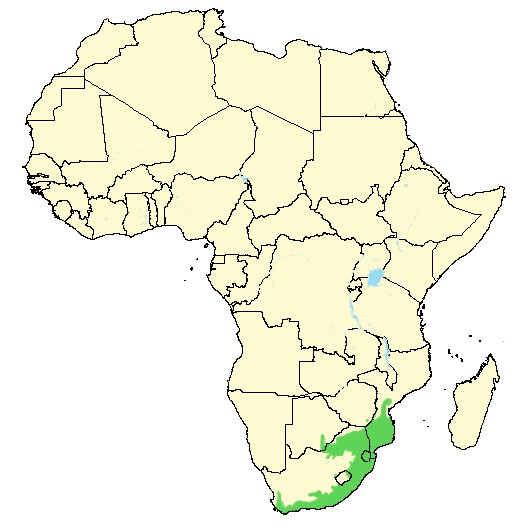 It can also be found in plantations and gardens with sufficient vegetation. It has a broad diet, and will eat both animals and plant materials. Included in the diet are various invertebrates, eggs, nestling birds, small reptiles, rodents, seeds, fruits, nectar, and even human leftovers. 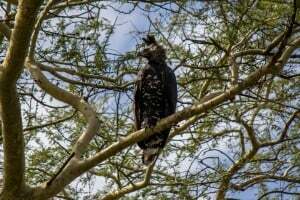 It mainly looks and forages for food on the ground, but will also catch insects in the air, and pick prey off leaves and branches. Only the female builds the nest, which is a flimsy bowl made up of grass, twigs and roots. It is sometimes bound together with spider web. If the nest gets sufficiently disturbed the breeding pair will pick it apart and rebuild it at another spot. It is usually placed in the fork of a branch on a tree or in a bush with dense cover. The female lays 2-3 eggs, which both parents incubate for 16-17 days. The young leaves the nest after about 16-17 days, and will be semi-dependent after 8 weeks. They will be fully independent after another 3 weeks. 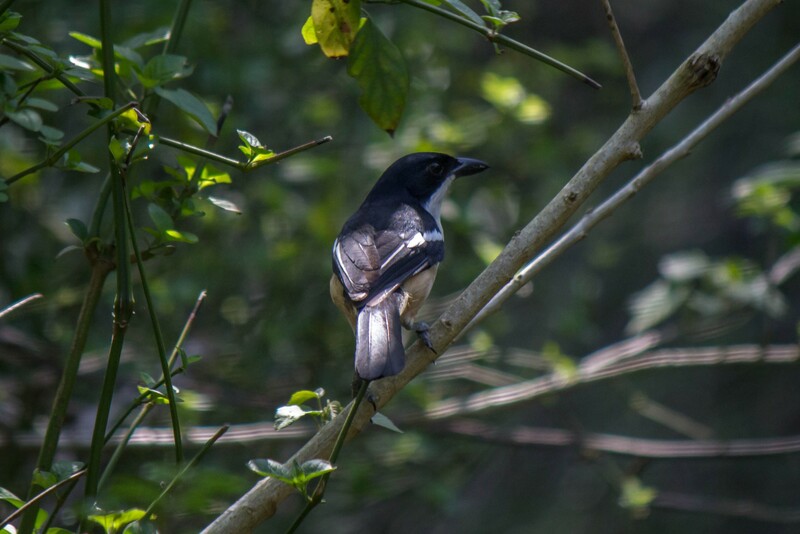 The southern boubou is a common species within its distribution and there are six subspecies. 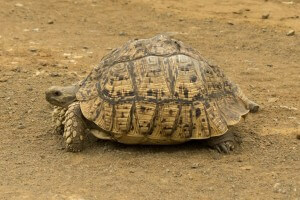 There are no threats to the species and it is listed as least concern on the IUCN Red List.